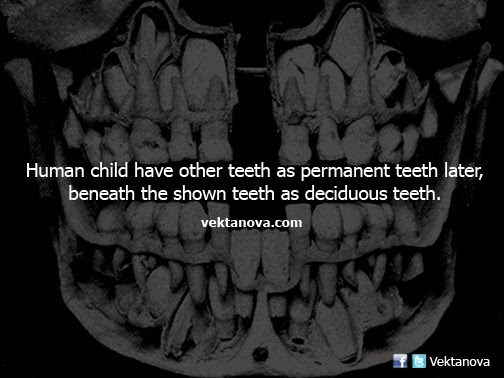 Deciduous teeth, otherwise known as milk teeth, baby teeth, temporary teeth and now more commonly primary teeth, are the first set of teeth in the growth development of humans and other diphyodont mammals. Deciduous teeth are usually lost and replaced by permanent teeth, but in the absence of permanent replacements, they can remain functional for many years. No response yet to "Child's Teeth"